The Baltic states (Estonia, Latvia and Lithuania) in northern Europe are, for me, a fascinating trio. Not a lot of travelers would normally put these countries in their first ‘Eurotrip’ itinerary — because they’re not as ‘established’ like Paris or Amsterdam — and yet, a lot of the well-known frequent travelers that I know of would sing nothing but glorious praises for these off-the-beaten-path destinations, while they continue to recommend them in a heartbeat. Which leads me to conclude that though the Baltic states are some of the least-visited countries in Europe, they are true-blue hidden gems in their own right. My traveler friends’ testimonials not only prove this fact but the images and articles that I have seen online have as well; and boy, I kid you not, these places all looked absolutely gorgeous and “untouched”! So when I had the chance to explore Estonia during one of the days that I was in Helsinki, I did NOT hesitate to book a ticket …And guess what? I may have only spent a day there but it was enough to show me that the people and the pictures didn’t lie. Besides, Tallinn (the capital of Estonia), was a city that looked like it came straight out of a fairytale! With that in mind, I absolutely recommend spending your European vacation in Tallinn. After all, if you’re already visiting Helsinki in Finland, you can easily reach it in a matter of 2 hours! 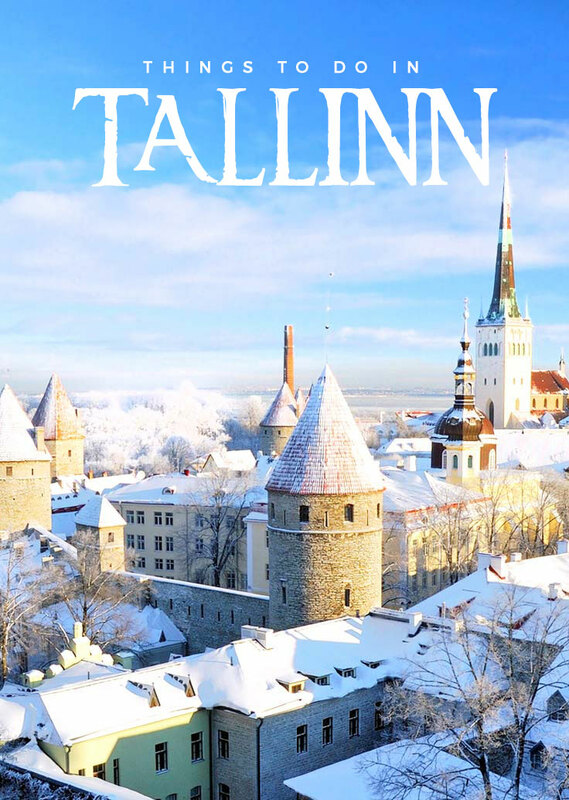 » How to get to Tallinn from Helsinki? Rest assured, if you plan to make a day trip to Tallinn, the ferry line does 7 trips daily from each port; so for my case, it was easy for me to book a seat at around 8AM to Tallinn and then go back to Helsinki come 7PM. At the moment, they have 3 modern ships that do the Helsinki-Tallinn route, namely: the M/S Star, M/S Superstar, and M/S Baltic Qeeen. Star Class: unnumbered seats which means that you can choose how to spend your time during the journey — inside, outside the deck, at one of the many restaurants inside the ship, in the duty-free shops, etc. Star Comfort Class: an upgrade that offers you bigger and more comfortable seating spaces that comes along with extra services like a snack buffet! There is also WiFi as well as TVs to keep you entertained. Business Class: the highest luxury to your cruise trip! It also comes with free WiFi, tax-free menu, newspapers, and business lounge buffet. I booked myself into Star Comfort Class because I thought that it would be worth the added cost — and it was! In fact, this area kind of functioned like my personal cabin because during the trip back to Helsinki, I managed to have a whole big couch to myself as I dozed off. Otherwise, the main airport will be Tallinn Airport located 5km from the city center. 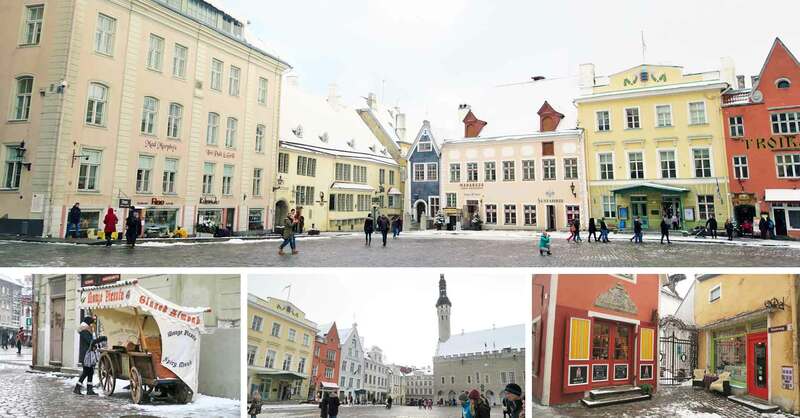 » What to see and do in Tallinn? Right from the moment that I stepped foot in Tallinn, I could instantly see its striking difference from Helsinki. You see… if Helsinki gave me the general impression of “chic and modern”, Tallinn on the other hand exuded “medieval mystic”. That being said, it was quite a refreshing change of ‘pace’. Armed with a map, Jonas and I decided to ditch it after a few minutes especially after seeing how Tallinn’s center can be easily reached and explored on foot. For the things that you shouldn’t miss…? #1 – Old Town. This is an astonishingly well-preserved medieval town that was listed in 1997 on the UNESCO World Heritage List. As a compact area encolosed by a 2.5km stone wall and 45 towers, it is tiered into two: Lower Town and Toompea Hill, and truth be told, you can explore these all in less than hour. Though of course, if you plan to explore the mesmerizing little side streets and alleys, it could take you more time. Viru Gate: This leads to the streets where merchants and artisans in old Tallinn used to flourish; today however, it now leads to the trendiest shopping street of the city. St. Catherine’s Passage: A charming little walkway that connects the streets of Vene and Müürivahe. Town Hall Square: (Raekoja Plats) This square is filled with cute pastel-colored houses and guild houses (gildi maja). Apart from that, you can also see here the Town Hall (Raekoda). Built in 1371, this is said to be the oldest of its kind in northern Europe which now houses the Tallinn City Museum. St. Olaf’s Church: (Oleviste Kirik) This is the city’s biggest medieval structure in which for an entrance fee of 2 EUR, you can go up its spiral staircase to see a panoramic view of the city. Personally however, I prefer the view from Toompea Hill. St Mary’s Cathedral: This is the oldest church in Estonia and it is where the name ‘Toompea’ was originally derived from. 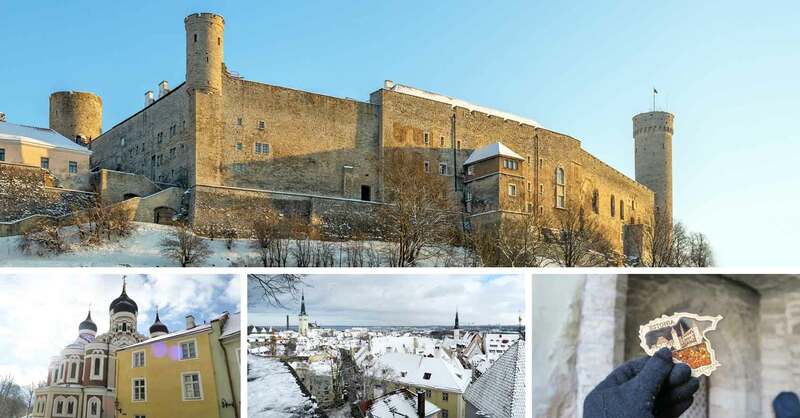 Toompea Castle: A magnificent-looking ancient stronghold that now houses the Parliament of Estonia. Alexander Nevsky Cathedral: This is a 19th-century Russian Orthodox church that had, at one point, became a tourist symbol for the city which a lot of nationalist Estonians weren’t happy about (since they said it was a symbol of oppression). It was called for demolition but it never happened and was left to decay. In 1991, when Estonia regained independence from the Soviet Union, the church was restored. Kohtuotsa Viewing Platform: Located on the northern side of Toompea hill, it gives you grand views of the city of Tallinn. You will surely see here the distinct difference of the old town and the newer part of the city as it is backdropped by the port and the Gulf of Finland. *You can also join a FREE walking tour of Tallinn and a quick Google search will lead you to an array of providers! #2 – Lennusadam Seaplane Harbour. This is an impressive maritime museum that has attractions in 3 levels: the air, the sea and below the sea as it depicts the old maritime past of Estonia. Some of the highlights of this museum are its submarine and flight simulators, as well as the exhibit of the 1936 Lembit submarine — the oldest of its kind which was still afloat until 2011 when it was hauled out. #3 – Kadriorg Park. A stunning urban park in Estonia, it spans about 70 hectares where you can find KUMU (Estonian Art Museum) and Kadriorg Art Museum — housed under the impressive Kadriorg Palace — and the Mikkeli Museum. » Where to stay in Tallinn? » How to get around Tallinn? By foot. Like I’ve already mentioned, Tallinn can be easily explored on foot — you just need to get to Viru street which is just a 10 to 15 minute walk away from the port. By public transportation. All buses, trolleybuses, and trams operate between 6AM to 12AM and use the same tickets that cost €1 via mobile or €1.60 via the driver. TIP: You could also book yourself into a Hop-Off-On Sightseeing Bus that goes through 3 routes: red, blue, and green lines. It’s preferable to take all lines (it costs only €16) for one day. By taxi. Prices vary across all taxi companies and some might even scam you. It’s actually preferable to book a taxi via phone and you can use the app ‘Taxify‘ for this (which the locals use themselves). » What and where to eat in Tallinn? Some Estonian dishes that you should try when in Tallinn should be the following: leivasupp (sweet soup of black bread and apples), verivorst (blood sausage and barley), and silgusoust (Baltic fish in acid sauce). For desserts: kringel (sweet breaad with cardamom), mannavaht (semoline and juice cream), and kissel (sticky sweetened berries). When it comes to drinks, you should make it a point to try the herbal liquer Vana Tallinn. Maiasmokk. This is said to be the oldest cafe in the city as well as the whole of Estonia! Its interiors are an eye-candy, and the food is a must-try. Rataskaevu16. Offers delicious Estonian Food in the Old Town and it is arguably the top-rated restaurant in the city. Olde Hansa. If you want to experience a medieval-themed restaurant, this is the place to be! Von Krahli Aed. If you’re more into healthy-eating, this place offers a varied range that vegetarians will also love. 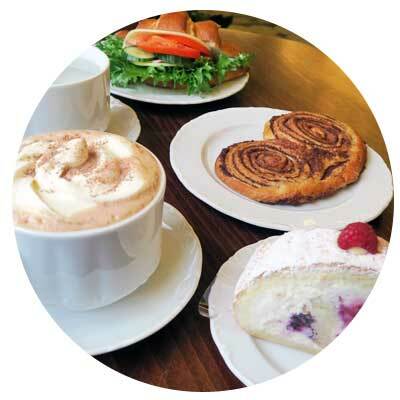 TIP: To best experience Estonia’s wonderful cuisine, book a 3-hour food tour with KKday! The Estonian language is closely related to Finnish but it generally doesn’t bear any resemblance to any other European language. Rest assured, English is commonly used in the city of Tallinn especially by the younger generation; but still, it’s nice to impress them a bit, don’t you think? Wandering through Tallinn has truly transported me to the wondrous Middle Ages, and it was an experience that I would love for you to experience as well! Besides, though Tallinn was involved in the former Soviet era, it’s not ‘dreary’ as some might happen to perceive because it has evolved into a charming and vibrant space! Plus, with a fascinating mix of old and new, Tallinn will certainly leave you speechless as it proves to you how much of a dynamic city it can be. What do you think of the Baltic States? What about Tallinn? Would you want to visit here? Why or why not? Or have you already been to Tallinn (or any of the Baltic states)? How was it? Hi! Im a doctor from the Philippines, just presented my research in the 2017 european allergy and clinical immunology convention in Helsinki. Today is our last day, and we have decided to visit talinn before our flight back home this evening! Hope we will also have a great time there..thanks for the tips! I've been thinking more about Estonia lately and now thinking about my Scandinavia trip at the end of the year and if I can go to Tallinn for a day from Helsinki. I'd like to stay longer but do you think a day trip is still perfectly do-able? Hey Juliette! Well, I did this trip to Estonia as a day trip and it was perfectly doable since the city was fairly small and can be walked on foot. :) Enjoy your trip! I'm so happy this post helped you! All the best on your trip! I was actually looking into doing a day trip to Estonia! This is really helpful info, thanks girl! Since I was a kid I knew Helsinki is the capital of Finland. I always see it in the commercial since then I wont forget about it. This place is beyond words can't describe the beauty. i wish someday me and my husband will be able to visit this amazing country. I wish so too, Sarah! Helsinki was simply amazing and I had a great time there! 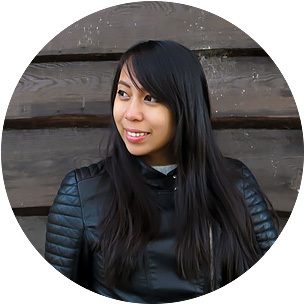 I love this post-partly because it's so well-written and helpful, but also because that place is on my bucket list!! I have traveled quite extensively throughout Europe but never made it to some of the countries that were on my bucket list!